Hans Hofmann resurgent at Berkeley Art Museum. 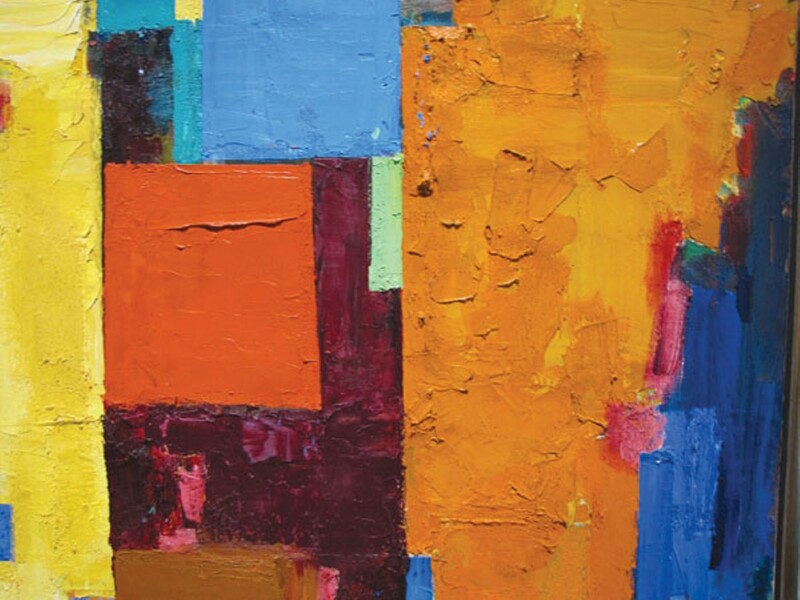 Detail of Hans Hofmann's "Equinox." The abstract expressionist wild men of yore have become our old masters. SFMOMA has its Clyfford Stills, and BAM has its Hans Hofmanns: 47 works the artist donated in the mid-1960s in gratitude for the Bay Area's early recognition of his art. He taught at UC Berkeley during the summers of 1931 and 1932 at the invitation of two former students, Worth Ryder and Glenn Wessels, and his first American public exhibition took place at San Francisco's Legion of Honor in 1932, three years before he fled Hitler's Germany.